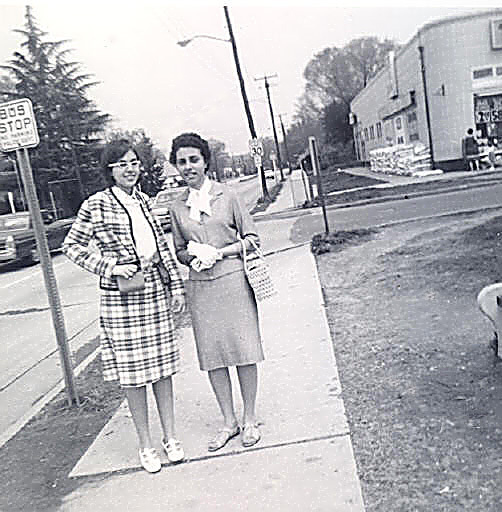 Ace (viewer's left) and friend at 10-S bus stop, 1966. Glebe Road heading North is in the background. To viewer's right - Carrier's Drug Store. can be seen to the viewer's right. That bench stayed there until 2004.
another concrete and wood bench, still standing. was not even smiling at her good fortune !!! !